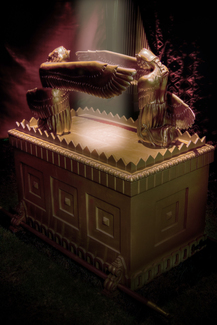 All volunteers are strongly advised to journey through the Tabernacle Experience before tending to the Tabernacle. The TXG currently uses iPod Nanos for The Narrated Journey. Welcome Attendant: greets our guests, gets them signed in, receives the contribution, invites guests to read the introductory pamphlet, directs them to the Reading Canopy. A seated position, shade provided. Tabernacle Host: Invites our guests to begin their narrated journey in the order they signed in and prepares them with their headsets/earbuds and iPod Nanos. Our guests journey in pairs whenever possible sharing one iPod Nano. Primarily a standing position. Audio Attendant: This position is critical. The Tabernacle Experience is audio driven. The AA is ultimately responsible for the flow of guests and must remain calm. The TXG uses iPod Nanos, the attendant will be trained. Shade provided, primarily a standing position. Courtyard Attendant: Keep the fire burning at The Altar of Burnt Offering and oversee the flow of guests. This position is limited to mature adults. The Courtyard Attendant does not interact with guests or other attendants. Primarily an outdoor seated position, bring your own shade. Holy Place Attendant: This position is meditative and serene and does not interact with guests or other attendants. This attendant will oversee guests, light incense and maintain the Table of Bread. This position is within the incense filled Tent. Those with allergies may not fare well at this position. Primarily a seated position. Marketplace Attendant: This volunteer should be a good listener, our guests may want to share their experience with you. The TabX uses the Square Terminal for all transactions. Shade provided a sitting/standing position.